The Bay Area retailer specializes in boutique wines and building customer relationships. On Friday evenings, San Francisco–based Ferry Plaza Wine Merchant & Wine Bar does a brisk business. Commuters shop before heading to the ferry dock, while other patrons sip a glass at the wine bar with the sounds of jazz in the background. The real estate axiom of “location, location, location” is on full display at Ferry Plaza. The venue is housed in the city’s landmark Ferry Building, through which 11,000 San Francisco Bay commuters pass the every day, providing an enviable level of built-in traffic. Ferry Plaza’s 3,000-square-foot store is a high-profile tenant in the Ferry Building Marketplace, which includes more than four-dozen upscale food venues. Having gourmet neighbors is a plus. “We don’t have a kitchen on-premise, so for our wine bar, we pull in charcuterie, cheeses and other items from Marketplace stores like The Slanted Door, Hog Island Oyster Co. and Cowgirl Creamery,” says Ferry Plaza Wine Merchant cofounder Peter Granoff. Another advantage of the location is the Ferry Building’s farmers market on Saturdays—the store’s biggest day for foot traffic. Granoff notes that the wine bar, which opens right onto the dining hall, allows patrons to bring in their own food, a practice that’s especially evident on farmers market days. “It reinforces the community feeling,” he says. 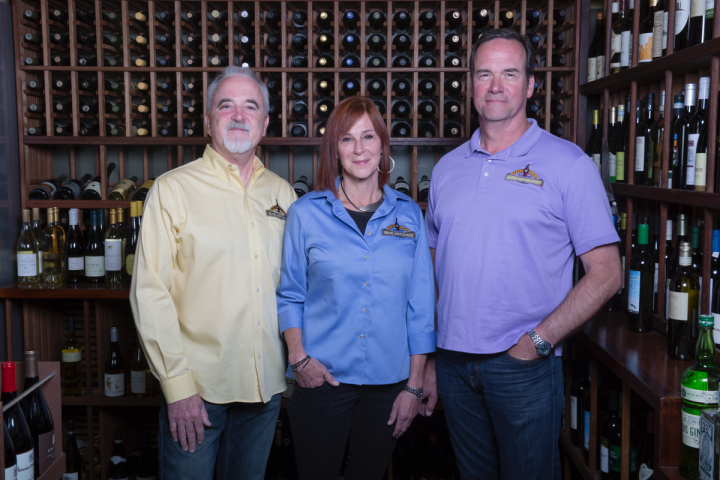 Granoff and cofounders Debbie Zachareas and Bo Thompson opened Ferry Plaza Wine Merchant & Wine Bar in July 2003. At the time Zachareas was a co-owner of San Francisco restaurant Bacar, and Granoff worked as a consultant after leaving his wine retail website Virtual Vineyards. Former Oakville Grocery CEO Steve Carlin approached Zachareas to open the wine bar and shop, but she already had her hands full with Bacar, so she teamed up with Granoff. In 2007, Zachareas sold Bacar and focused full-time on Ferry Plaza. Granoff then recruited Thompson, with whom he’d worked at Virtual Vineyards. Zachareas serves as the front-of-the-house wine ambassador and marketing lead, while Granoff manages information technology, finances and the online sales platform. Thompson oversees events and day-to-day operations. Ferry Plaza Wine Merchant grew 15 percent to 20 percent a year for its first five years, but the 2008 recession threw the store a nasty curve. “Things went precipitously south,” Granoff recalls. “Sales dropped 30 percent, and the banks were useless.” At one point, a major financial institution withdrew the store’s line of credit. “We managed to make it through without taking on additional debt, but it was a tough ride,” Granoff explains. Ferry Plaza has since recovered, along with the economy, and year-on-year growth is now between 5 percent and 7 percent. 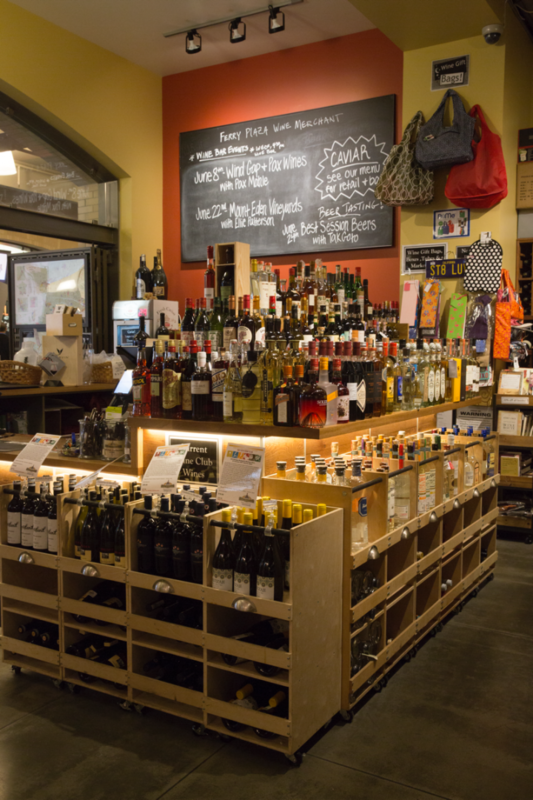 Ferry Plaza does 70 percent of its retail sales in wine, 10 percent in spirits, and the remainder in beer, water and soft drinks, although beer’s share of sales is higher at the wine bar. The store has about 1,000 wine SKUs, and 60 percent are international. Most of the inventory retails between $8 and $100 a 750-ml. bottle. Wines under $20 sell fast, but the sweet spot is $30 to $50. Regulars who come for the farmers market tend to buy in the $10-to-$30 range. Popular styles include red blends and sparkling wines—especially crémants between $15 and $30 and quality Proseccos and Cavas. Grower Champagnes priced from $30 to $60, such as Gonet-Médeville and Coquillette, also sell well. The store’s spirits inventory totals roughly 150 SKUs, with a focus on artisanal and limited-production craft distillers. Millennials and the mixology culture drive selection, but Granoff also sees an older generation of wine consumers coming back to cocktails, inspired by innovation in bitters, vermouth, mezcal and small-lot spirits. Although they comprise a small base, spirits are growing fast. In 2008, the founders opened a second shop, the 1,000-square-foot Oxbow Cheese & Wine Merchant, in Downtown Napa’s 40,000-square-foot Oxbow Public Market. The store sells cheeses curated by Justin Grodivant and mirrors the San Francisco wine bar model, offering small plates to accompany glass pours. The venue is showing 18-percent to 20-percent growth, although the company has been unable to obtain a spirits license and is exploring other locations for off-premise spirits sales. The founders are also seeking an additional location in the San Francisco metropolitan area. Inspired by the success of the Oxbow unit, Granoff says the third unit may be a hybrid of the first two. Surviving 13 years in San Francisco takes more than a great location. 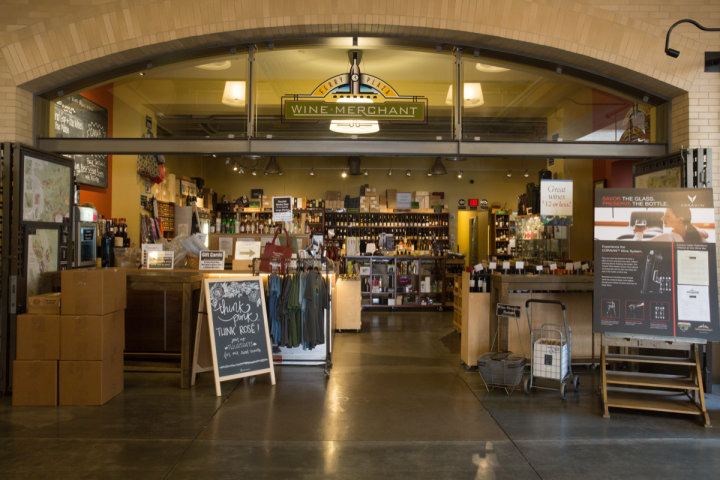 At the heart of Ferry Plaza’s longevity is its wine selection, which appeals to the eclectic customer mix of hipster city dwellers, commuters, international travelers and business people. Zachareas and Granoff select the wines along with store manager Sarah Knoefler and wine buyer Drea Dedona. Each person manages a subset of 300 suppliers in the store’s database, but they taste all wines together. “We offer small-production, well-crafted wines with limited distribution,” Granoff says. “Most boutique producers mainly target the on-premise, so we’re among the few specialty merchants to get small lots.” Ferry Plaza is constantly looking for new items to satisfy regulars. The team prefers to write its own descriptions and uses the details to train staff, who can also sample all selections at the wine bar. Ferry Plaza’s wine bar offers 2-ounce tasting pours, which give customers a chance to try unfamiliar wines without too much commitment. The wine bar offers 30 to 40 selections, and the mix changes weekly. 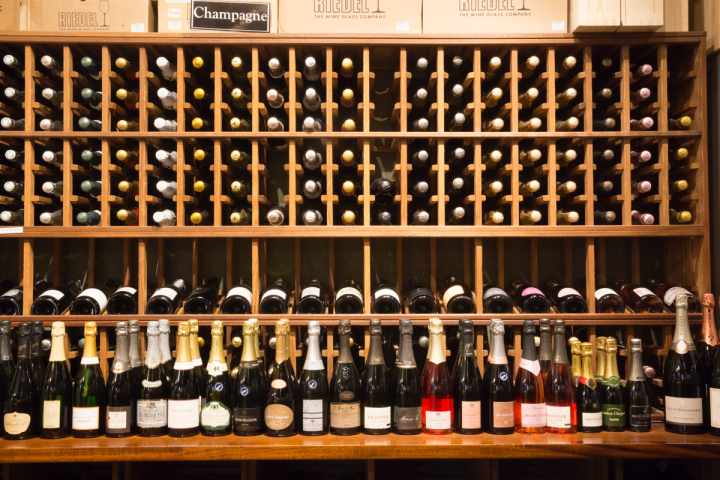 Wines available by the glass can generally be found in the retail inventory, and patrons may also open any bottle off the shelf for a $9 corkage fee. High-end customers generate about 20 percent of Ferry Plaza’s revenue, and their muse is Zachareas, an energetic whirlwind who travels the globe to find the best Austrian Grüner Veltliner (her personal passion), the liveliest Italian Vermentino and other special offerings. The Soalheiro Alvarinho Vinho Verde ($25 a 750-ml. bottle) is a favorite of Zachareas that she discovered during a trip to Portugal. And while Zachareas is responsible for the store’s European tilt, she notes that California wines are better than ever, citing the 2014 Forlorn Hope San Hercumer Delle Frecce Amador County Barbera ($30) as an example. She also praises the 2014 Anthill Farms Sonoma Coast Pinot Noir ($42). Zachareas carefully nurtures her customer relationships. “They want service and attention, and they want a cultivated, curated selection just for them,” she says. “It’s one-on-one service.” Ferry Plaza also works with corporate clients and offers luxury wine experiences through Ifonly.com, a website owned by San Francisco entrepreneur Trevor Traina. Corporate events are a natural fit for Ferry Plaza due to its location near San Francisco’s Financial District and proximity to major tech companies like Uber, Twitter and Salesforce. “We host small corporate groups looking for team-building exercises, and we devise fun and interesting activities around wine,” Thompson says. Along with event marketing and wine experiences for corporate customers, Ferry Plaza’s latest project is its Rosé Wine Club, which includes two bottles for $38 a month. The promotion is tied to “Think Pink Thursdays,” when customers can open any rosé from the refrigerator for a discounted $5 corkage fee. A popular wine club selection is the Famille Sumeire Provence rosé ($16 a 750-ml. bottle). “Rosé is as serious today as any other wine,” Zachareas says. The rosé promotion is an offshoot of Ferry Plaza’s wine club program, which has more than 1,000 subscribers. The original Monthly Club features two bottles of red, white or both for $38 a month, and the Red Cellar Trio offers three cellar-worthy reds for $115 a quarter. Thompson says that members tend to be long-term because they’ll be able to taste wines that are difficult to find. The club maintains a competitive edge by featuring small import lots that members can try first. 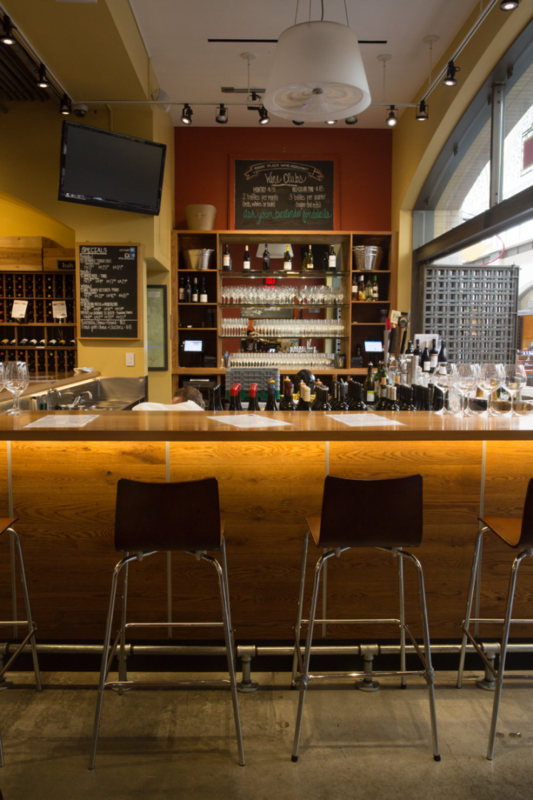 Ferry Plaza also hosts Wednesday Wine Flight Nights, which Zachareas manages. “I try to bring in winemakers that people wouldn’t necessarily meet,” she notes. Recent guests included California winemakers Ted Lemon of Littorai and Robert Sinskey of Robert Sinskey Vineyards. In terms of competing retailers, Thompson says big box stores and online outlets pursue “race to the bottom” tactics, and Ferry Plaza doesn’t really play in that market space. While the store does have an online sales platform, Granoff says it’s not an important part of the revenue model. Ferry Plaza’s small lots sell too quickly for online availability, and the partners don’t go for rock-bottom pricing. One competitive challenge is also Ferry Plaza’s strength: offering unique, small-lot wines. “People come into our store and don’t see things they recognize,” Thompson says. “It’s important to engage with customers as soon as we can.” He adds that Ferry Plaza employees are adept at guiding guests to a purchase. Commuters—some of whom shop two or three times a week—want to pick up a $15-to-$20 bottle or a selection under $12 on their way to the ferry. Sections are organized geographically, and floor case stacks are set up for quick buys.